cryptonaut-in-exile: What we still need to learn from Lawrence of Arabia. What we still need to learn from Lawrence of Arabia. 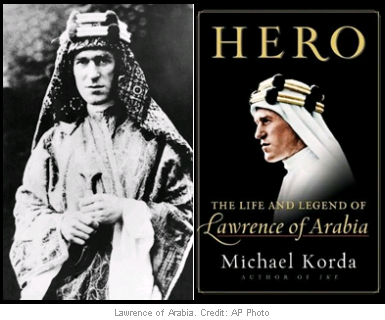 Much of what we face today in the Middle East (and even in Afghanistan) has its roots in Lawrence’s doomed struggle to get the Arabs what he (and they) thought they had been promised and deserved for rising in revolt against the Ottoman Empire, and in the betrayal of their hopes and his at the Paris Peace Conference in 1919. Therein lies the birth of the many grievances and bitterly disputed frontiers that still divide the region fatally, and which in the last 90 years have caused enough bloodshed to stain the sands of the desert red, with no sign that it will stop any time soon.